BANFF, ALBERTA, Canada – Enjoy dinner with a view with our Heli-BBQ tour. 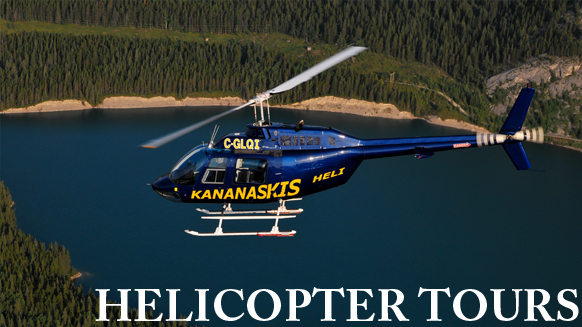 After arriving via helicopter, you’ll be feasting on more than just the views of the Canadian Rockies. Dine on Rib eye steak, baked potato, asparagus, corn-on-the-cob and a dessert served buffet style at the Deluxe BBQ, or opt instead for the Executive BBQ, which includes table service and cloth table linens. No matter which you choose, it is sure to be the most memorable meal of your Banff Canada vacation. Breathe deep and find your center with our Heli-Yoga tour. After taking in the serene landscape of the Canadian Rockies on an 8-minute helicopter ride, destress with a one-hour guided yoga session. Our experienced hatha yoga instructor will help you open your chakras and clear your mind while surrounded by the incredible scenic beauty of the Canadian Rockies.